Lambent Passage is the section of the Imperial Sewers closest to Daggerfall Covenant territory. It contains the Daggerfall Covenant Base and allows access to the Elven Gardens District and Nobles District. 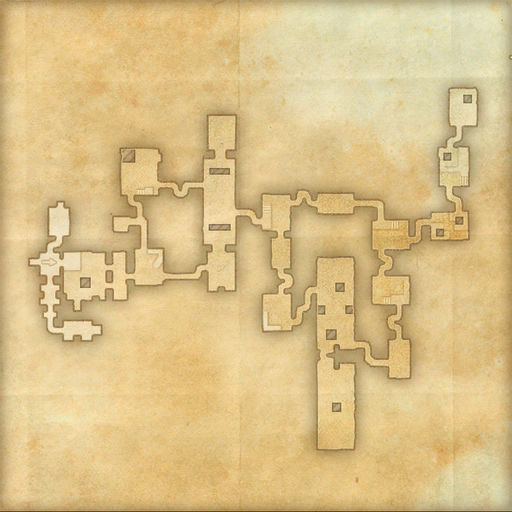 It connects to the Vile Drainage in the northeast corner, and also contains an entrance to the White-Gold Tower group dungeon and the Ancient Underground. Ladders to each of the six Imperial Districts are situated outside the bank in the northern chamber. A Bounty Mission Board can also be found here, allowing those PvP quests to be accepted and turned in without leaving the City. General Aklash has a desk inside the Cyrodiil entrance, next to the door which leads into the main section of Lambent Passage. The Scouting Board is fixed to the wall beside the door. Phrastus of Elinhir and Lady Cinnabar can be found behind the Tel Var Stone Exchange, arguing over the details of the mysterious fragments. Daggerfall Covenant Base — Located at the western end of the sewer. This door can only be used by members of the Daggerfall Covenant; however this is not indicated in-game, where it is marked as a POI using the standard white Sewer icon. Ladder to Elven Gardens — Located in the northwestern part of the Battle Gates area. This ladder leads to the southwestern end of the district, near the watchtower. There is a Sanctuary bubble at both ends of the ladder. Ladder to Nobles District — Located in the southwestern part of the Nocere Oblitus area. This ladder leads to the western side of the district, near the Nobles Armory. There is a Sanctuary bubble at both ends of the ladder. Gati has discovered a new route to the realms of Oblivion. 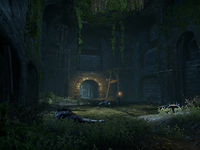 Battle Gates is the western area of this section of the Imperial Sewers, right next to the Daggerfall Covenant Base. It is inhabited mostly by (enemy types?) and patrolled by (?) of the Coldharbour Elite Guard. The entrance to the Ancient Underground can be found in this area. The cruel wards of Zamachar nurture only the strongest foes. Nocere Oblitus is the eastern area of this section of the Imperial Sewers. It is inhabited mostly by (enemy types?) and patrolled by (?) of the Coldharbour Elite Guard. A Daedric Portal can be found in the small middle room on the eastern side of this area. Dungeon: White-Gold Tower — Located just outside the Daggerfall Covenant Base. The Sublime Brazier: Put an end to Molag Bal's plot in the Imperial City. This page was last modified on 26 January 2019, at 02:01.